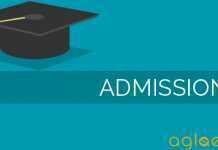 Home Admission Exams Architecture ACPC Architecture Admission 2018 for B.Arch. 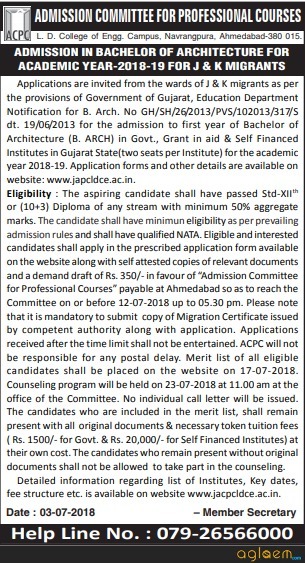 ACPC Architecture Admission 2018 – For the admission in first year of Bachelor of Architecture (B.Arch) in Govt., Grant in aid & Self Financed Institutes in Gujarat State on state quota, out state quota of all Institutes and management quota, surrendered seats of Self Finance Institutes, Govt of Gujarat has decided to carry out web-based online admission process for the academic year 2018-19. The eligible candidate has to register online through the internet as per the details are given below. Candidates can check the complete information of APCP Architecture Admission 2018 for B.Arch application process, eligibility criteria and other information through this page below. Latest: Status of vacant seats (after Round_2 confirmation and non reportee) has been released. Scroll down to check the same. Candidates seeking admission in B.Arch course have to fill their application form in online mode from the official website www.jacpcldce.ac.in on or before the last date. All the vacant seat shall be filled on the basis of Merit. 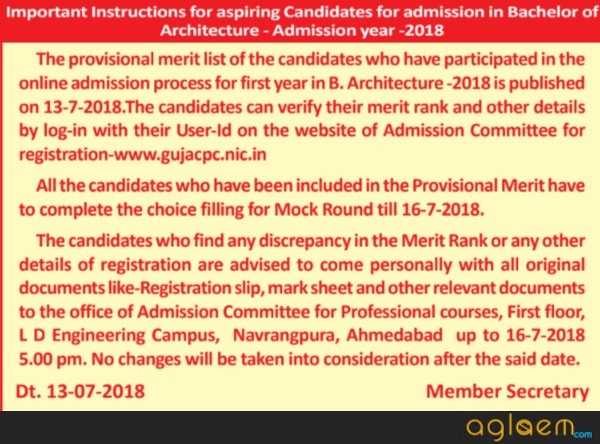 Expected Schedule for the ACPC Architecture Admission 2018 for B.Arch is given below. Candidates can check their seat allotment result from the link which is provided on this page. The Seat allotment result is declared on the basis of merit has obtained by the candidate. Click here to check Status of vacant seats (after Round_2 confirmation and non reportee). Click here to check the Advertisement for vacant seats admission. Click here to check the Instruction for candidates to take admission in B.Arch against vacant seats. Click here to check the Key dates for vacant seat admission at Institute level. Click here to check the Status of Vacant Seats after Round 2 B.Arch. Click here to check Status of vacant seats after Round-2 Institute wise. Click here to check Instructions for Admission confirmation in Round-2 English. Click here to check Instructions for Admission confirmation in Round-2 Gujarati. Click Here to check the Instructions for participating in Round-2 in English. Click here to check the Instructions for Admission confirmation : English. Click here to check the First Round-Institute wise closer Gujarat Board. Click here to check the Gujarat Other Board. Click here to check the First Round – institute wise seat allocation. Click Here to check the Status of Seats after Mock Round B. Arch. Click Here to check the Opening and Closing Rank list for Gujarat Board candidate of B. Arch Mock round. Click Here to check the Opening and Closing Rank list for Gujarat Other Board candidate of B. Arch Mock round. Gujarati Notice: Click here for Gujarati version of above notice. 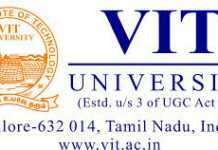 Bachelor of Construction Technology Course, a candidate shall have passed the qualifying examination with Physics and Mathematics as compulsory subjects and Chemistry / Biotechnology / Biology / Computer as an optional subject. Computer as an optional subject. A candidate shall have passed the qualifying examination with minimum 50% marks (45% for SC/ST/SEBC category) in aggregate. 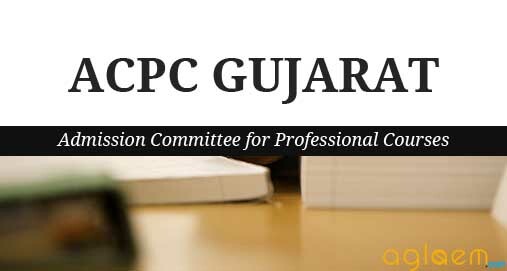 Online Registration have been started on official website www.gujacpc.nic.in or on the link provided below. Please note that after due date, the candidate shall not be allowed to register online. The direct link to fill the application form is provided below. After online registration, the candidate has to approch nearby help center with original documents for verification, has to submit print-out of registration form and self-attested photo copies (Not Originals) of the required documents. The requisite acknowledgement slip after submission of registration form is to be collected from Help Centre. After successful completion of registration and verification at help center, the eligible candidates can participate in choice filling and further admission process as per schedule. List of help centers is also available on website www.jacpcldce.ac.in. Click here to check the list of Help centers. A candidate seeking admission on reserved seat shall be required to produce a Certificate of inclusion in the concerned category: Provided that the candidate belonging to Socially and Educationally Backward Classes shall be required to produce a certificate to the effect of noninclusion in Creamy Layer in addition to the Caste certificate. No caste certificate shall be valid unless it is duly stamped, signed and issued by the authority empowered by the Government of Gujarat. No certificate to the effect of non-inclusion in Creamy Layer shall be valid, unless it is duly stamped, signed and issued by the authority empowered by the Government of Gujarat. Such certificate shall have been issued on or after the 1st April of the academic year in which the candidate is seeking admission. The admission of a candidate of a reserved category on a reserved seat shall be valid subject to the verification of caste certificate issued to him by the authority empowered by the State Government in this behalf. In case the caste certificate is found to be invalid on verification, he shall not have right to claim his admission on reserved seat and if he has already been granted admission, such admission shall be cancelled. Admission of such candidate may be continued in case of availability of vacant unreserved seats, subject to the condition of eligibility of merit. The Admission Committee shall prepare merit lists of the eligible candidates who have applied under sub-rule (1) of rule 13, after verification of the documents submitted under clause (5) of para (A) of rule 13. The merit lists shall be displayed on the web-site of the Admission Committee and by such other means, as the Admission Committee may consider convenient. The Admission Committee shall publish the Schedule of online counseling program on its web-site, by an advertisement in the prominent newspapers widely circulated in the State and by such other means, as it may consider convenient. fails to pay the tuition fees within the prescribed time limit as aforesaid, the admission offered to him shall be treated as cancelled. Such candidate shall not be eligible to get admission on same course and same shift in the same College or institute in the successive rounds of counseling in the same shift, with an exception for candidates getting admission in successive round on TFW seat instead of Non-TFW seat in the same institute & same branch & same shift. Provided that a candidate who has been allotted admission on Non-TFW seat and has not confirmed his admission to the said seat shall be eligible to get admission on TFW seat on same course and same shift in the same College or institute. Where considerable number of seats falls vacant and it appears to the Committee to fill the vacant seats, it may conduct the on-line admission process for readjustment (reshuffling) of seats. The candidate, who opts to partake in reshuffling process, shall be considered for such admission. The candidate may either give option for up gradation of choices already given or submit new choices. If the candidate gets the admission on the basis of up-gradation or new choice, then his earlier admission shall be treated as cancelled. On payment of Rs.5,000/- (Rupees five thousand) to the Admission Committee as security deposit by the candidate. If the candidate submits the required documents within a period of five working days, the remaining amount of the security deposit shall, after deducting Rs. 500/- (Rupees Five hundred) towards the administrative expenditure, be refunded. In the event of failure to submit original certificates and testimonials within the time limit as aforesaid, the registration may be cancelled and the security deposit may be forfeited.”. Click here to check the list of Institutes. Click here to check the Revised intake in GJ-08-Institute of Architecture-HNGU-Patan. For more details of ACPC Architecture Admission – Download Information Brochure of 2018.